The showdown was over the issue of supremacy of constituting a bench in which the authority of Chief Justice Dipak Misra was allegedly undermined by a bench of Justices J Chelameswar and S Abdul. NEW DELHI: The tussle within top judiciary today came to the fore with the Supreme Court overturning the order of a two-judge bench to set up a larger bench to hear a graft case allegedly involving judges, asserting that Chief Justice of India was the "master of the roster". However, in a dramatic development, the CJI today set up a five-judge bench headed by him and overturned yesterday's order of the two-judge bench, saying the Chief Justice had the sole prerogative of setting up a bench and allocating matters. "There cannot be a command or an order directing the CJI to constitute a bench of specific strength," the bench said while making it clear that neither a two-judge nor a three-judge bench can direct the CJI to constitute a specific bench. "Needless to emphasis that no judge can take up a matter on its own unless allocated by the CJI as the CJI is master of the court," the bench said and annulled the decision of the two-judge bench, in the hearing which witnessed heated exchange of words between the judges and advocate Prashant Bhushan, representing the petitioners. "Any order passed contrary to this order (by the constitution bench) should not hold the field and shall be treated to be annulled," the CJI said in hard-hitting remarks while refusing the request of a lawyer to bar the media from reporting the case, saying he believed in "freedom of speech, freedom of expression and freedom of press". The bench said if the principle of law, judicial discipline and decorum of the court was not followed, there would be "anarchy" and "chaos" in the administration of justice as well as the functioning of the institution. Perturbed by yesterday's order, the CJI, without taking names of the concerned judges, said there were hundreds of matters listed in the court daily and if the orders were passed like this, then the court cannot function. 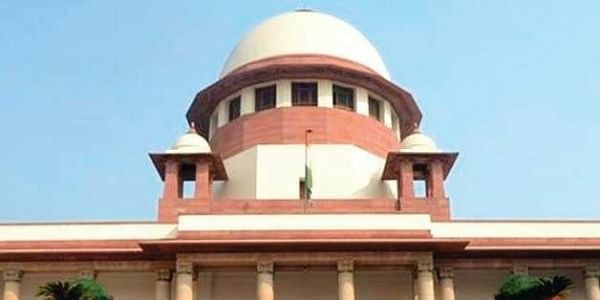 Members of the Supreme Court Bar Association (SCBA), including its President R S Suri, vice-president Ajit Sinha, Secretary Gaurav Bhatia and several senior advocates including Ashok Bhan, Aman Sinha and others strongly countered the allegations levelled in the petitions and said strong action should be taken against any attempt to "browbeat" the judges. "Getting orders by terrorism should not be tolerated by this court. Strong action needs to be taken against any such attempt," SCBA members said while requesting the bench to initiate contempt proceedings in the matter. The hearing in the jampacked courtroom saw allegations flying thick and fast with Bhushan even raising his pitch while asking the CJI to recuse himself from hearing the matter as his name has allegedly figured in the CBI's FIR. "We have been giving you indulgence and you cannot deny that, despite you levelling wild allegations against me. You can afford to lose your temper but we cannot", the CJI said. Bhushan, who was representing an NGO 'Campaign for Judicial Accountability' and Jaiswal, seeking constitution of an SIT to probe the corruption case allegedly involving judges, said the CJI's name features in it. "What FIR against me? It is nonsense. There is not a word in the FIR naming me. Read our orders first. I feel sorry. You are liable for contempt now," the CJI said. Bhushan left the court in a huff midway during the hearing, alleging that he was not being allowed to speak while the court has heard "all and sundry". He was seen apparently being pushed and jostled while he was leaving the courtroom. At the fag end of the hearing, one of the bar members requested the bench to pass an order gagging the media from reporting the case, claiming it would tarnish the image of the institution which is a "temple of justice". The CJI refused to accept the oral submission, saying "I believe in freedom of speech, freedom of expression and freedom of press". "Prime facie, I am always of the view that freedom of speech and expression should be respected. I am not going to pass any order restraining the press," CJI Misra said.